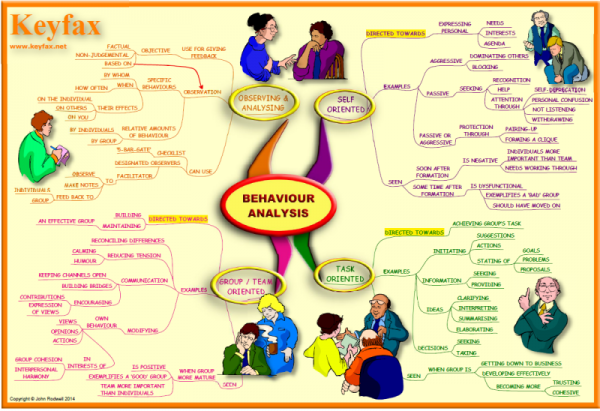 A Mind Map to guide you in identifying various types of behaviour with view to giving feedback to people on what’s been observed. 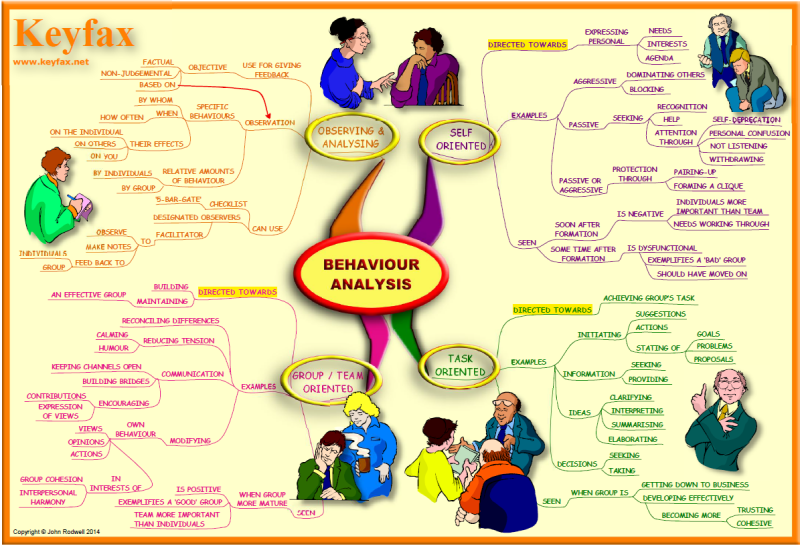 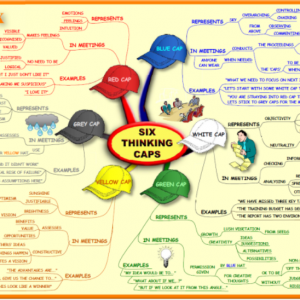 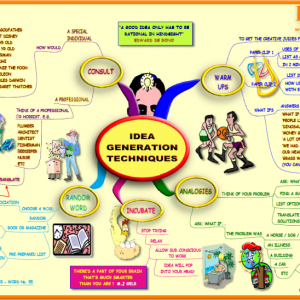 This is a Mind Map that you can use as a basis for observing and analysing the behaviours of the people around you. 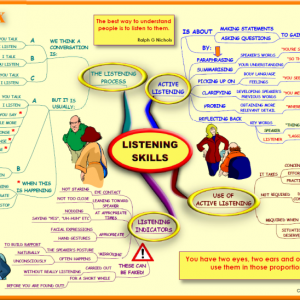 It can be used for analysing the behaviours of teams at work, or any other group that spends a lot of time together. 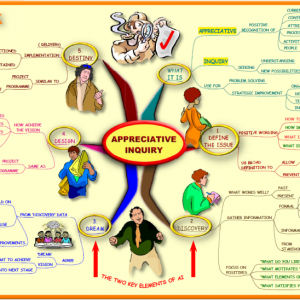 It can be used as an effective tool for feedback purposes, or just for your own appreciation of ‘what’s going on’ in your own group or team.